MA-Config is an excellent site to repair a computer or improve its performance. 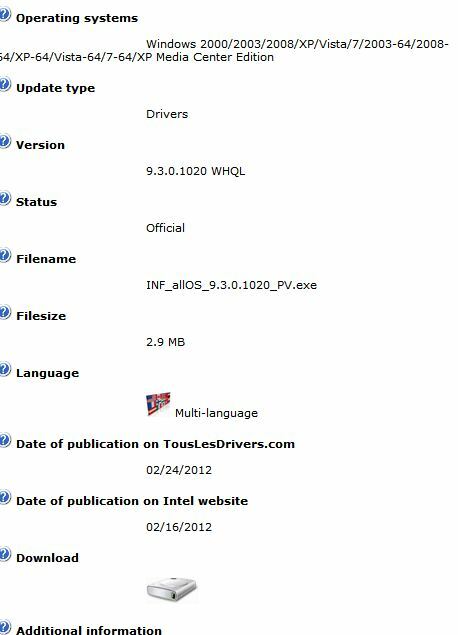 MA-Config downloads an ActiveX or small software package (3.4 mb download) by your web browser (it can also be manually installed) and helps you locate the driver you may be missing. The plugin Ma-Config downloadable on this website is certified virus-free, spyware-free, an adware-free. It does not represent or add any safety risk to your computer, this is why it is certified by VeriSign. Ma-Config also is Kaspersky trusted. Drivers can improve your video, hard disk performance, network performance or improve your wireless connectivity. In order to use the site, simply click on Start Detection. This will download a program to your computer. 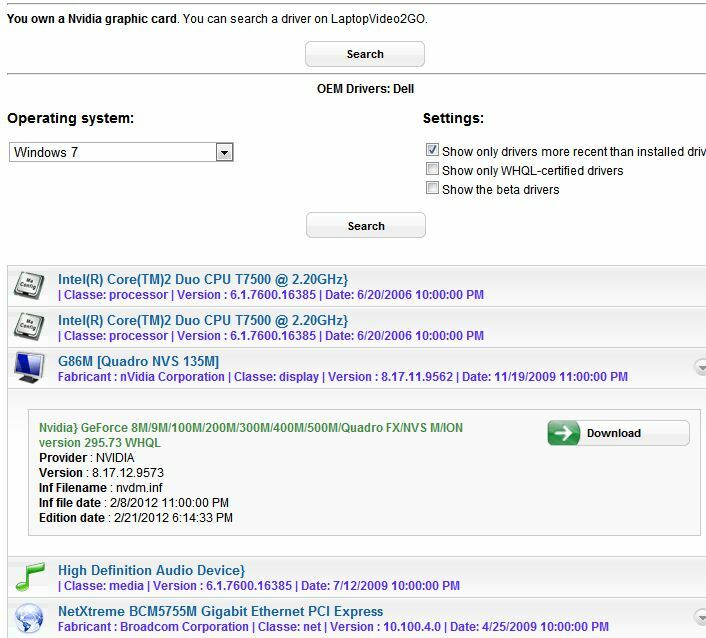 After installing a tiny program, your computer will scan and upload information about your hardware to the site in order to cross reference your drivers. Below is the results after a scan. Selecting a driver and downloading. Although the manufacturer stopped updating the chipset on this laptop, a newer version has been posted. Ma-Config often finds updated drivers even thought the manufacturer’s website has stopped updating drivers. Give it a try and remember if your updated driver does not work, go into Safe Mode and roll back the driver or chose last known configuration by hitting F8 after rebooting your computer. Are you really computer savvy? Use the Nvidia or Ati/AMD mobility modder. These are freeware tools so you can download the latest drivers and install from the vendor’s site if your laptop manufacturer is dragging and taking their time. 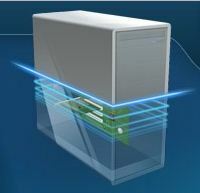 This entry was posted in Computers, Information Technology, Wireless and tagged chipset drivers video drivers, drivers for Windows, hard to find drivers, modify laptop drivers, network drivers, sound drivers, Windows 7 Drivers, windows drivers. Bookmark the permalink.